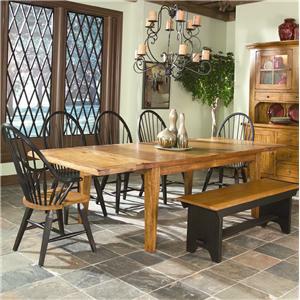 Add a simple yet stylish centerpiece to your dining room with this rectangular leg table. X base end panels add an extra touch of style to this charming piece. 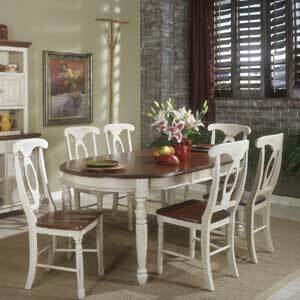 Perfect for your new downtown apartment or a more casual dining space. 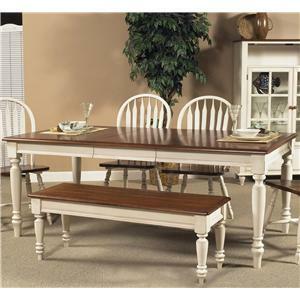 The Vintage Dining Series Rectangular Leg Table with X Base End Panels by Liberty Furniture at Dinette Depot in the Brookfield, Danbury, Newington, Hartford, Connecticut area. Product availability may vary. Contact us for the most current availability on this product. 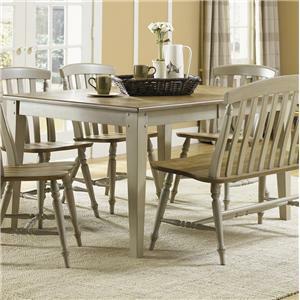 The Vintage Dining Series collection is a great option if you are looking for Relaxed Vintage furniture in the Brookfield, Danbury, Newington, Hartford, Connecticut area. Browse other items in the Vintage Dining Series collection from Dinette Depot in the Brookfield, Danbury, Newington, Hartford, Connecticut area.